Learning how to say 'yes' in French is one of the first things you will learn when you start studying French. As you become more fluent, you will want to acquire some alternatives for the direct translation of the word. 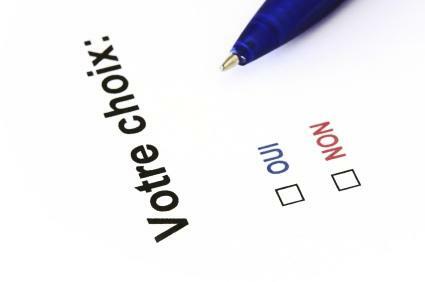 Many learners of French learn the most basic translation of 'yes' in French. Oui is the word that corresponds directly to the word yes in English. While learning that this is the French word that goes with yes is quite simple, learning the proper pronunciation for 'oui' can prove to be more difficult. A good way to start learning the pronunciation of this French word is to simply pronounce the English word, we. While this is not exactly how it is pronounced in French, it is the closest approximate sound in English. Because the sounds of English and French are completely different from one another, there is no English sound that is completely identical to the French pronunciation of oui. In order to pronounce oui correctly, your lips have to be rounded and very tensed. The shape of your lips before you pronounce oui should feel almost as though you are going to whistle instead of speak. For perfect pronunciation, it is best to listen to native French speakers pronounce the word, and observe their mouth shape if possible. Then repeat the word after they have pronounced it. Repeating the word over and over again while trying to hear the difference between a native speaker's pronunciation and your own pronunciation will make your pronunciation sound more closely like a native speaker. The reason why this context has a special word instead of simply saying 'oui' is because the asker of the question either genuinely expects a negative response, or because he or she wants to underline a point. For example, the questioner might draw attention to the fact that he or she has been waiting for a long time by asking 'aren't you coming?' instead of 'are you coming? '; the questioner knows that you are coming, but wants you to hurry up. Learning to respond to negative questions affirmatively by saying 'si' instead of 'oui' is one of the signs that your French is advancing beyond the beginner/intermediate level into the intermediate/advanced level. In addition to the two translations of yes in French (oui and si), there are several phrases that you can use in order to provide some nuance when saying yes. In contexts where someone asks you to do something, and you are not only willing to do it, but also are happy to do it or you consider it completely normal that the task would fall on you, you can respond with bien sûr. In this example, the person asking the question doubts whether or not 'he' is right about something, but to the person answering the question, there is no doubt whatsoever about the fact that 'he' is right. Another way of expressing of course, but in an even stronger way (think something to the tune of obviously), is to say bien oui, which is pronouced 'bahn wee'. This expression is even stronger than mais oui, and is generally only used in contexts between speakers who are very familiar with one another. As you weave these nuanced expressions for how to say yes in French into your speaking skills, your French will go from intermediate to advanced. The best way to learn the proper contexts for these phrases is to observe a lot of French from native speakers, such as by watching French movies or reading French conversations. Try to imitate the situations in which these phrases are used by native speakers, as well as the pronunciation.